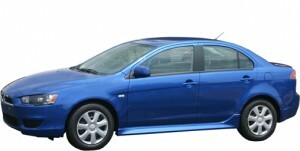 The Lancer loses its Sportback model, leaving just the sedan. Heated side mirrors are now standard across the board, and they include turn signal indicators. 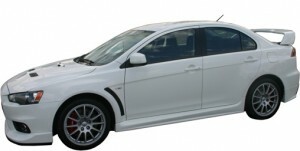 Already discontinued in many other parts of the world, the Lancer Evolution is in its last year in the US and probably will not be replaced. Heated mirrors, optional on the MR last year, are now standard across the range. The GSR, with its 5-speed manual, now offers a premium package with Xenon headlights, fancy stereo Fast-Key (hands-free access), etc. MR models have a lot more standard equipment: auto headlights, rain sensing wipers, Rockford Fosgate stereo, Fast-key, Auto Dimming rearview mirror, and upgraded center console. 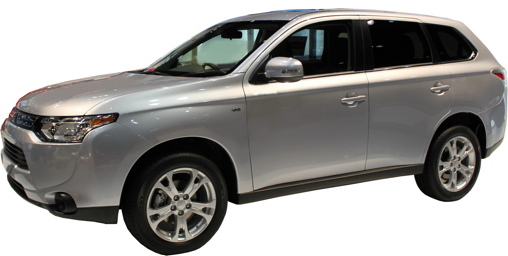 Bi-xenon automatic headlights with daytime running lights, auto dimming rear view mirror and rain-sensitive wipers are now standard instead of optional. The side view mirrors are now heated. The side mirrors on the Mirage ES gets turn signals built-in. A new continuously variable transmission will mimic a 7-speed conventional automatic and is faster than the one it replaces and improves fuel mileage by one MPG city and highway on FWD models and 1 MPG highway on AWD. Front door glass is now thicker and insulation has been added to the rear quarter for better noise control. Various trim is slightly changed. Bluetooth is now standard. Sound insulation is improved. Slight improvements to trim.